Miss Carrie will be holding a FREE Family Hip Hop Holiday Class! 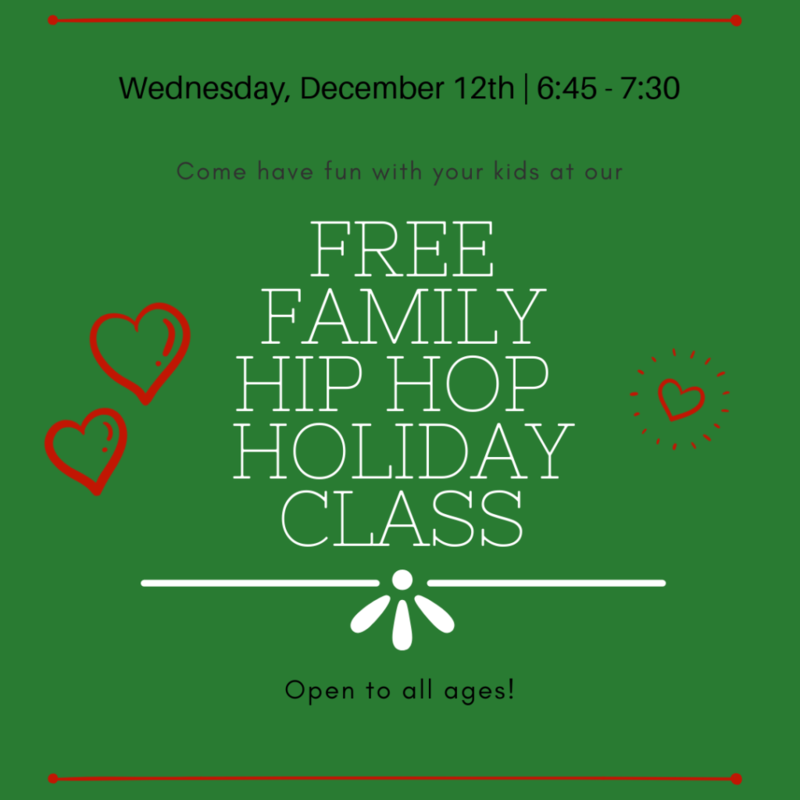 This will be a fun class for both children and parents, and if it goes well we might add a Family Hip Hop class to the regular schedule after Christmas! If you are interested, sign up at the front desk to save your spot in the class, but drop-ins are also welcome!